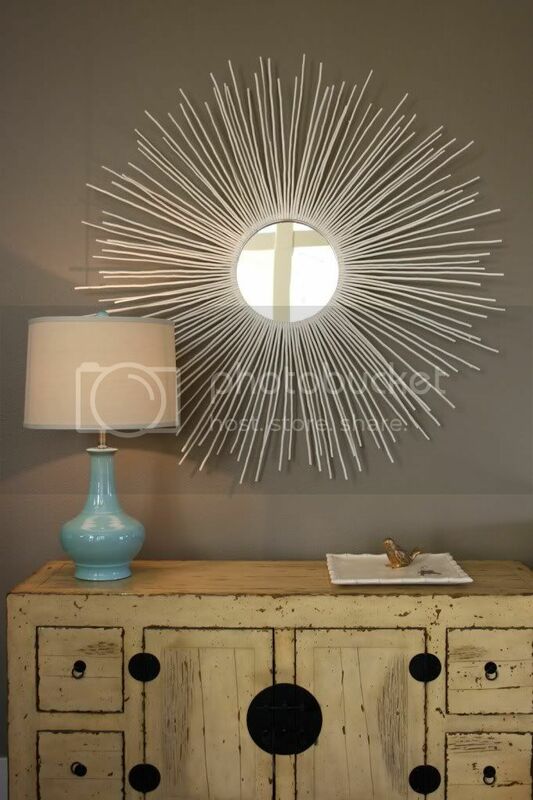 Lately, I've been enchanted by these fab sunburst / starburst mirrors. 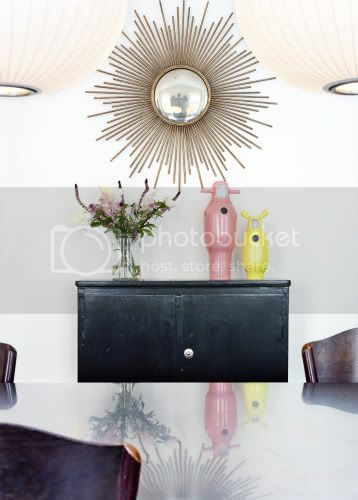 I must admit, it's a little cyclops looking with the bugeye but it still makes a nice accent in any room, nonetheless. It totally gives it that extra oomph! 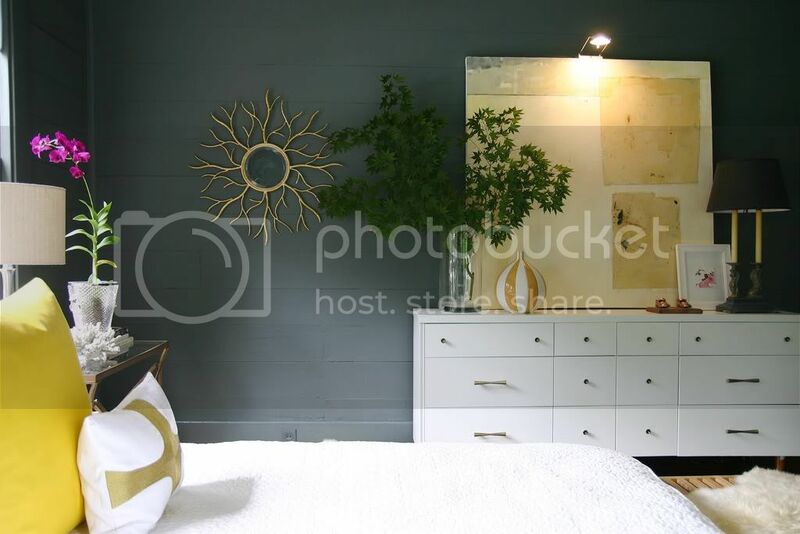 I would LOVE for one to go above my bed. My favorite is the first photo from the new magazine, Anthology. Have you seen it? What a stylish mag, cultivated by some of your favorite creative bloggers. 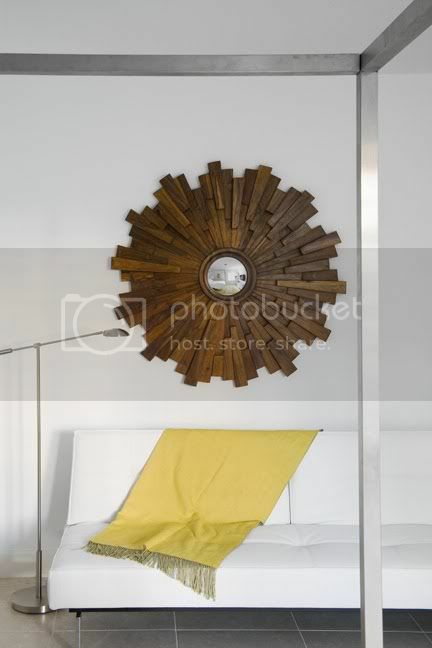 And the last image is a great DIY project I found from Isabella & Max Rooms. Looks pretty darn good, I might have to try it myself. Well, I got some gooooooood stuff this weekend. I can't wait to show you next week, especially one questionable find which I'll need your thoughts on. Enjoy the NEW YEAR and the rest of your weekend!